A flurry of multimedia-friendly features such as a 0.3MP camera, FM radio, and a 2.4” screen make the Four B200 an entertainment powerhouse dual SIM feature phone. And 64MB worth of internal memory are there to make sure that there’s enough space to store a good deal of your music and pictures. The B200 also supports the popular instant messaging platform, WhatsApp*. *When used with memory card. Entertainment at your fingertips. 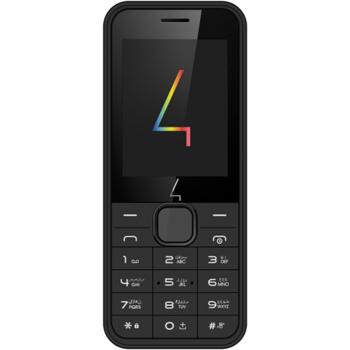 A flurry of multimedia-friendly features such as a 0.3MP camera, FM radio, and a 2.4” screen make the Four B200 an entertainment powerhouse dual SIM feature phone. And 64MB worth of internal memory are there to make sure that there’s enough space to store a good deal of your music and pictures. 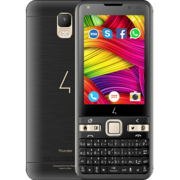 The B200 also supports the popular instant messaging platform, WhatsApp*. *When used with memory card.